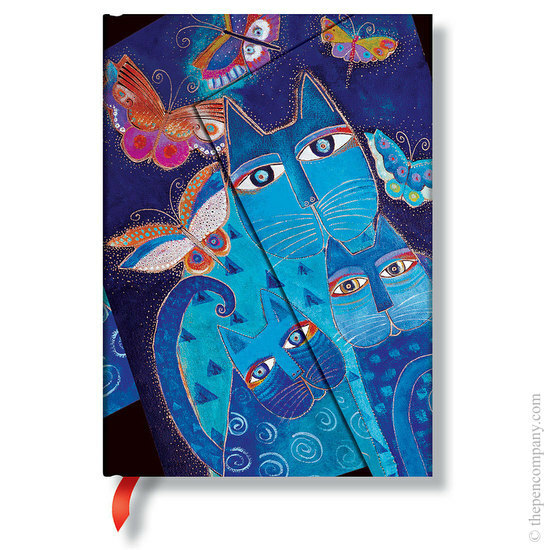 These Paperblanks journals feature the artwork of Canadian artist Laurel Burch. The original artwork is beautifully reproduced with vivd colours, embossing and the use of gold and silver foiling. The journal covers feature designs from the Laurel Burch's 'Fantastic Felines' collection and her 'Spirit of Womankind' works. Each journal features acid-free archival quality paper, a memento pouch and ribbon page marker.